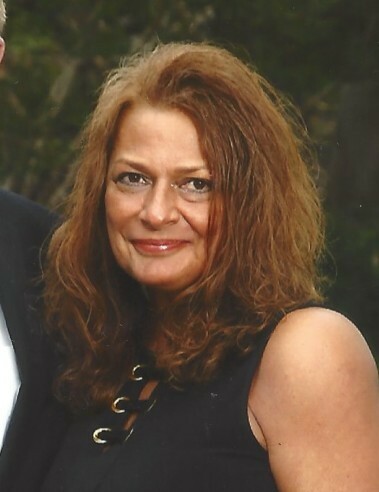 Lorraine Swiger, 53, of Greensburg, died peacefully in UPMC Montefiore Hospital, Pittsburgh, surrounded by her cherished family on Wednesday, September 5, 2018. She was born on April 24, 1965 in Mt. Pleasant, a daughter of the late Joseph and Mary Podgorski Stanek. She attended Charter Oak Church, Greensburg. Lorraine was a devoted wife and mother and will be greatly missed by her family. She is survived by her husband of 20 years, Thomas Swiger; her daughters, Madison and Kaitlyn Swiger, both at home and step-son Derek Swiger of Ross Township; her sister, Phyllis Marinucci (Michael) of Manassas, VA and her brother, Joseph Stanek, Jr., of Partlow, VA ; her mother-in-law, Glenna Swiger and her brother in law, that she was very close to, Robert Swiger of Zelienople; a special niece, Jennifer Fetgatter (Richard) of Midland, VA; also, several nieces and nephews and in laws. A gathering of family and friends will be held on Tuesday from 3 pm to 5 pm at Charter Oak Church, 449 Frye Farm Road, Greensburg. A memorial service for Lorraine will begin at 5 pm with Pastor Chris Whitehead officiating. Because of Lorraine’s passion for memory care, in lieu of flowers, memorials may be made to the Alzheimer’s Association, 1100 Liberty Avenue, Suite E-201, Pittsburgh, PA 15222. Kepple-Graft Funeral Home, Greensburg in charge of arrangements. For online condolences, please visit www.kepplegraft.com.